It is the 20th Anniversary of Oktoberfest in Breckenridge! Are your travel arrangements already made?? 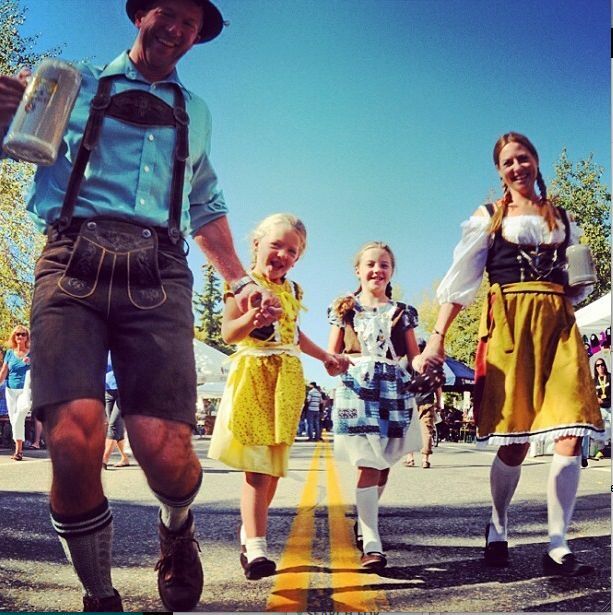 You DON’T want to miss the 20th anniversary of one of the most festive times of year in Breckenridge – Oktoberfest! There is really fun for all involved, including families enjoying the authentic German cuisine, the music, a 5K run, a street party with Oompah & polka music and dancing, Bavarian food, children’s activities and, of course, Paulaner beer. There is also a Brewmaster Dinner that sells out every year. It is an multi-course meal paired with Paulaner biers or alternate wines for those who prefer wine over beer. Oktoberfest is just one of many celebrations in the historic mountain town of Breckenridge. No matter what season, there is always something to celebrate. Surrounded by breathtaking scenery, clean air and water, friendly people, great food, and four seasons of outdoor adventure – Breckenridge is truly a place to call home. If you simply can’t move here, you should at least call it your second home. Now is absolutely the time to lock in your home away from home in Breckenridge. From studio to four bedroom, completely furnished luxury condos to the aquatics center, spa, theatre, and restaurant, this is the place to be for any season. CLICK HERE to view some of these luxury properties, and then reach out to Brent Henry, Senior Broker, for a no obligation, no pressure information kit by calling 970-485-2117. This entry was posted on August 30, 2014 by elevatemarketingaz. It was filed under Breckenridge Colorado Luxury Condo Sales, Breckenridge, Colorado Real Estate, Fractional Ownership Real Estate Summit County Colorado, Fractional Real Estate Breckenridge Colorado, Grand Lodge on Peak 7 Breckenridge, Colorado, Luxury Fractional Real Estate Breckenridge Colorado, Luxury Fractional Real Estate Summit County, Colorado, Real Estate Breckenridge Colorado, Summit County Colorado Luxury Condo Sales, Summit County Colorado Real Estate, Uncategorized and was tagged with Breckenridge Colorado, Breckenridge Colorado condos, Breckenridge luxury condo sales, Brent Henry Breckenridge real estate broker, Grand Lodge on Peak 7, Summit County Real Estate.